CBT has become the dominant psychotherapeutic model within the U.S. Because it was developed in reaction to psychoanalysis, the two are often placed in stark opposition. In this course we explore how each of these approaches can enhance the other. The course provides a brief overview of core concepts from both traditional and contemporary mindfulness-based CBT approaches. A variety of CBT treatment methods including the classic techniques of cognitive restructuring and exposure, and newer techniques from Acceptance and Commitment Therapy (ACT) will be taught. Students will learn approaches to working with panic disorder and obsessional/ruminative problems, as well as how the techniques used can be employed to treat a variety of problems. 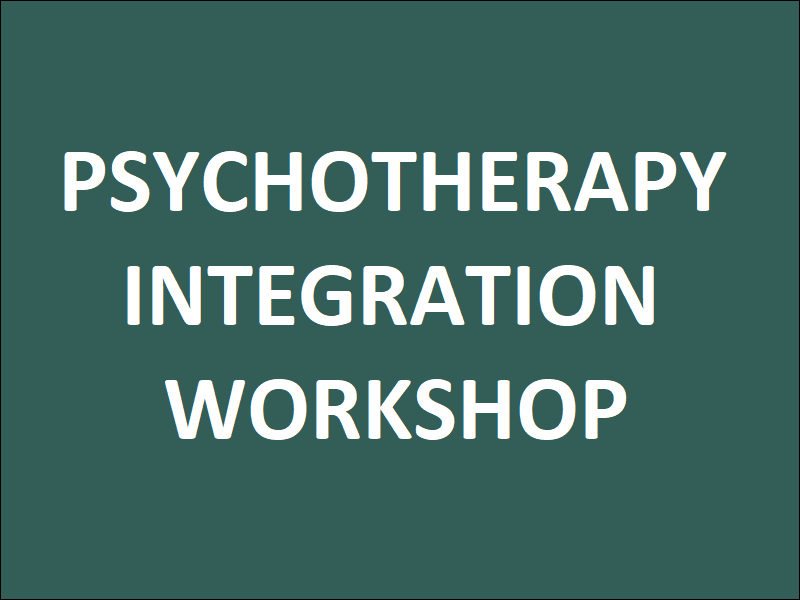 Throughout the course we will think about how CBT approaches both converge with and diverge from psychoanalytic approaches, the rationale for choosing CBT techniques within an analytic treatment, and how to develop a fluid approach to incorporating both modalities in one treatment. Classes will include didactic presentation of theory and techniques and discussion of case material drawn from the practices of the instructor and students. Active learning will be facilitated by demonstrations of techniques and opportunities for in-class practice. Readings will include texts by leading CBT practitioners, analytic practitioners who integrate CBT, and some psychoanalytic texts that provide a theoretical framework for integrating CBT into psychoanalytic work. This course can be taken as a stand-alone course, or as a required part of NIP’s Certificate Program in Psychotherapy Integration. The course will be taught at NIP in eight seminar-style classes, each lasting one hour and fifty minutes. Class meetings are held on Mondays, January 7, 14, 28, February 4, 11, 24, March 4, 11, 2019, from 1:00 to 2:50 pm. Students will be charged $600. Understand the basic tenets of CBT and how they agree with and differ from the tenets of psychoanalysis. Learn a variety of CBT techniques, including cognitive reappraisal, exposure, and mindfulness practices. Develop skill in identifying when and how to integrate CBT techniques into psychoanalytic practice. Jill Bresler, Ph.D. is Co-Director of the Psychotherapy Integration Program at NIP. She is on the faculty of the NYU Postdoctoral Program in Psychotherapy and Psychoanalysis, where she did her psychoanalytic training. Dr. Bresler is a past Fellow of the Institute for Rational-Emotive Behavior Therapy, and has extensive training in multiple CBT approaches. She writes and teaches on the integration of CBT and psychoanalysis. Most trauma therapists recognize three stages of treatment for survivors of sexual abuse: 1) Establishing safety and stabilization, 2) Exploring and healing traumatic experiences through memory, affect, bodily sensations, and cognitions, and 3) Reconnecting with others. Because interpersonal trauma disrupts attachment and social relatedness, and creates a sense of isolation, the final stage is a critical component of treatment. This presentation describes the development of a therapy group in a private practice to foster a relational context for healing, at the same time that #metoo testimonies were beginning to emerge. The Trauma Recovery Group model, which emphasizes personal empowerment, provided each person with an opportunity to share her trauma and bring a personal trauma-related goal into fruition through the exquisite support of the group. Sarah St. Onge, Ph.D. is the Director of the Integrative Trauma Program at the National Institute for the Psychotherapies, Co-Chair of the Certificate Program in Integrative Trauma Studies, and faculty and supervisor at NIP. An EMDRIA Approved Consultant, Sarah is a certified EMDR therapist, and is completing her certification as a Somatic Experiencing practitioner. Sarah maintains a private practice in Manhattan where she provides integrative trauma treatment for children, adolescents and adults. This case presentation will explore the impact of relational trauma, specifically traumatic narcissism, and how it manifests in dissociative experiences in the treatment for both the patient and the analyst. Through clinical material from work with a patient who employs self-protective, dissociative states, ranging from falling asleep during sessions, to binge eating, to more subtle, pervasive behavior such as lateness to sessions and “stuckness” in her personal life, the author will consider these dissociative enactments as responses to relational trauma—somatic evidence of the patient’s adaptations to an intrusive, narcissistic parent. The author will further discuss her own experience of dissociation in the treatment — becoming sleepy during sessions — and describe how the patient’s and analyst’s burgeoning mutual awareness of their dissociation has facilitated therapeutic growth. Allison Penn, LP is a licensed psychoanalyst and a 2017 graduate of NIP’s license qualifying program in Psychoanalysis & Contemporary Psychotherapy. Before entering the psychoanalytic field, Allison worked as an attorney for many years. She has a private psychotherapy practice in lower Manhattan where she treats adults and couples. NIPPA Case Presentations do not offer CE hours. * Please note: this training course takes place over 6 days and 2 Skype sessions. All components must be attended in order to receive CE credits. National Institute for the Psychotherapies and Big Oak Psychotherapy Training Institute are co-sponsoring a Winter 2019 EMDRIA*-approved EMDR Basic Training and consultation for the integration of this highly effective approach into clinical practice. As an EMDR Institute Regional Basic Trainer, Dr. Karen Alter-Reid uses the EMDR Institute curriculum to provide clinicians with the knowledge and skills to use Eye Movement Desensitization and Reprocessing therapy with a broad range of clients and clinical presentations. Trainings are provided in small groups of 24 or fewer. The training is a six day, two-weekend program, plus two 2-hour consultation groups, extended over six weeks. Training includes the traditional Weekends 1 and 2, as well as all ten required hours of consultation. Extending the training format helps participants integrate the lecture material, conceptualize where to begin with specific clients and incorporate the standardized protocol into their practice. Each of the two weekends will include lecture, consultation, and experiential components. This course is designed for licensed mental health practitioners who treat adults and children in a private practice or other clinical setting. Participants must have an active psychotherapy caseload so that they can begin to integrate and utilize EMDR therapy in their practices during the six-week training period. Supervised small group practice on each training day. Physiological overview of the adaptive information processing system. Specialized history-taking to identify dysfunctional patterns and causes. Treatment planning to address past events, current triggers, and future needs. Stabilization techniques across the attachment spectrum. Reduction of overt symptoms and achieving comprehensive mental health. Addressing the full range of trauma and other disturbing life events. Applications to combat trauma and first responders. Applications to addictions, grief, anxiety, depression, and somatic disorders. Applications to natural and person-made disasters. Applications to family and couples therapy. Personal use for therapist to process vicarious traumatization. In accordance with EMDR Institute Basic Training guidelines and the EMDR International Association's guidelines, 20 hours of lecture, 20 hours of practicum, and 10 hours of consultation are included in the training course. * EMDRIA is the EMDR International Association that sets standards and accredits EMDR training programs. The training curriculum is approved by Dr. Francine Shapiro, the developer of EMDR and director of the EMDR Institute, and the EMDR International Association. Once you register online, you will be sent registration materials to complete and submit. Click HERE for EMDRIA requirements to be trained in EMDR. Dr. Karen Alter-Reid is a clinical psychologist and EMDR Institute Regional Trainer. She is Faculty, EMDR Senior Consultant and Trainer at the National Institute for the Psychotherapies' Integrative Trauma Program. She is an integrationist and utilizes a variety of treatment modalities within a relational psychodynamic frame. 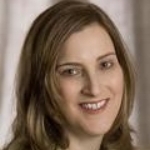 As Co-Coordinator of the Fairfield County Trauma Recovery Network, she has overseen trauma/EMDR education and treatment of first responders, presented authored articles in the EMDR Journal of Practice and Research and Marilyn Luber's edited compilation, EMDR Therapy and Emergency Response on her TRN work. She also co-created a "Therapy for Therapists" program to ensure clinicians' mental health when experiencing a 'shared primary community trauma with their clients. This model was used in New Orleans and in Sandy Hook, CT. Currently, Dr. Alter-Reid is Clinical Consultant to the grant, Project Safe Neighborhoods, which utilizes EMDR treatment with court-involved youth in Bridgeport and New Haven. This year, she co-authored a chapter with Dr. Ruth Heber, The Trans-generational Impact of Anti-Semitism: Searching for EMDR Targets to Heal Internalized Stigma and Expand Identity. Dr. Alter-Reid has presented at the ISST-D conference, the EMDRIA conference, Grand Rounds at Jacobi Hospital and Grand Rounds at Hartford Hospital, and other seminars nationwide. Nancy Bravman, LCSW, is the Associate Director of NIP's Integrative Trauma Program. She has a particular interest in the integration of psychoanalytic psychotherapy and trauma-informed approaches to treatment. She is an EMDRIA (EMDR International Association) Consultant, and is also trained in Sensorimotor Psychotherapy, Somatic Experiencing and IFS (Internal Family Systems). Sarah St. Onge, PhD is the Director of the Integrative Trauma Program at the National institute for the Psychotherapies and Co-Chair of the Certificate Program in Integrative Trauma Studies at NIP. An EMDRIA Approved Consultant, Sarah is a certified EMDR therapist, and is currently studying to be a Somatic Experiencing practitioner. Sarah maintains a private practice in Manhattan where she provides integrative trauma treatment for children, adolescents and adults, and conducts psychoeducational and neuropsychological evaluations. Hope Payson, LCSW, LADC is a Licensed Clinical Social Worker, Addictions Counselor, EMDRIA Approved Consultant, and EMDRIA Specialty Presenter. She specializes in the use of EMDR to address PTSD, complex trauma and chemical dependency. Hope is a Consultant and Facilitator for the Big Oak Psychotherapy Training Institute. Dr. Salvi, PhD is an EMDRIA Approved Consultant and is both Consultant and Facilitator for the Big Oak Psychotherapy Training Institute. She is a licensed psychologist, licensed clinical social worker, and Coordinator of the Westchester County Trauma Recovery Network. She maintains a private practice in White Plains, NY where she provides integrative treatment for children, adolescents and adults. This event is approved for 40.0 CE contact hours for APA and NYS Department of Education for social workers, licensed psychoanalysts & licensed mental health clinicians. 40 professional CE's are approved for this course by non-NYS social workers, graduate nursing professionals, LMFT's and psychologists. Reviewers' Track: Are you already trained in EMDR and want to review the training to strengthen your understanding and skills? Take the entire basic training at the Early Registration rate and earn 10 hours toward EMDRIA Certification. In the reviewers' track, consultation and practice sessions will focus on how to more fully integrate EMDR therapy into your current clinical setting. Personalized CE certificates will be distributed at the end of this event. Due to New York State requirements, persons arriving more than 15 minutes late or leaving more than 15 minutes early will not receive a CE certificate. You must attend all parts of all days, including the two weekend events and the three Live/Skype Group sessions. Up to 30 days in advance of the first day of training, tuition is refundable minus a $100.00 administrative fee. Within 30 days of the training, a refund will be made only if the vacancy is filled, minus a $100.00 administrative fee. Any requests regarding this must be in writing, with date determined by postmark or email. After the start of the training due to the small size of the training, no refunds for any reason will be given because at this point a replacement cannot begin. Missed Sessions: If a registrant needs to miss any part of the training, make-up session with an Approved Consultant will be charged based on the amount of time needed for the session, billed at $175/hour.